A hint of retro styling provides a clean and classic look for your contemporary home in the Sinclair Collection. 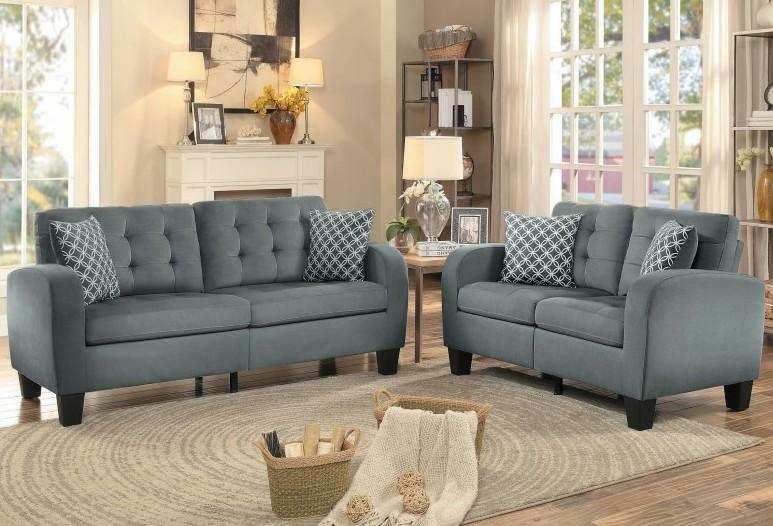 Offered in a traditional seating or sectional configuration, the options allow for the perfect placement within your living room. The collection is available in either gray or chocolate fabric with contrast pillows, that furthers the look and versatility for placement within a number of home decors. No chair available. 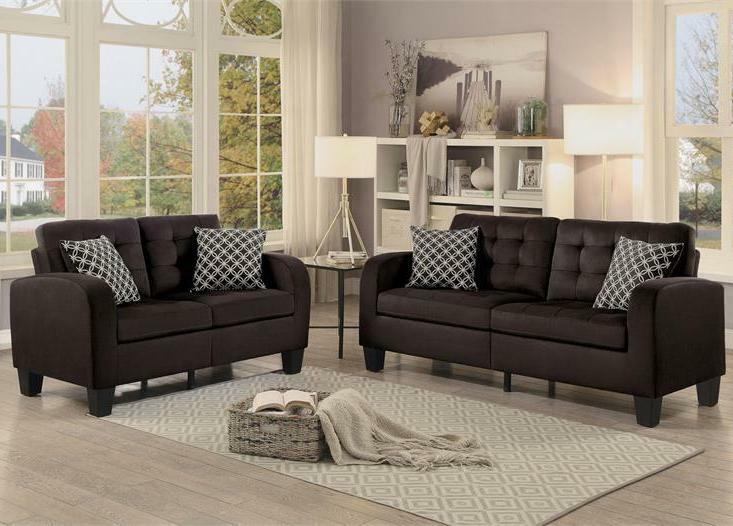 FEATURES: Gray / Chocolate Color ~ Retro / Contemporary Style ~ 100% Polyester Fabric Cover ~ Sloped Arms ~ Button Tufted Back Cushions Accents ~ Toss Pillows Included.